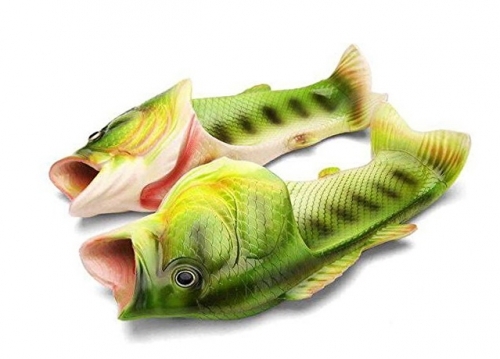 These cute fish slippers are made from environmentally friendly material. It's non-toxic, wear resistance, waterproof, easy to clean and ozone resistance. 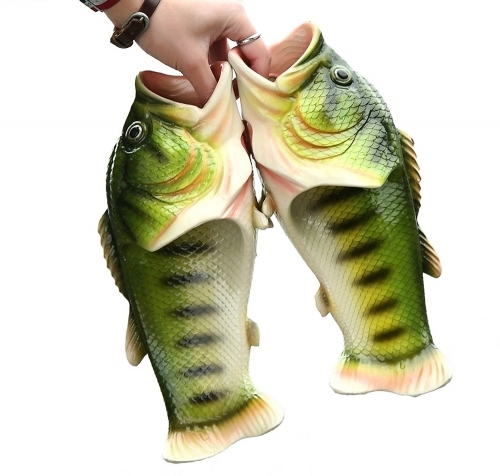 The sole is non-slip, elastic and shockproof. 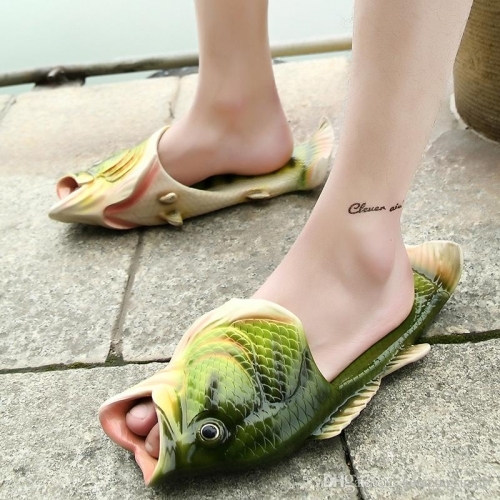 Imagine walking on the beach wearing fish on your feet. It would definitely be a conversation starter. If you are an attention seeker or just like good old fun these flip flops are made for you!